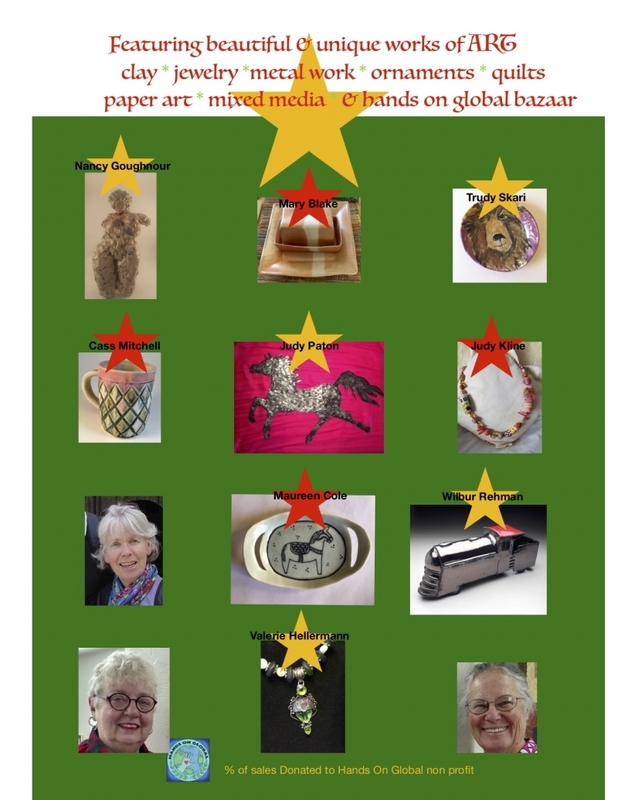 HOLIDAY ART BAZAAR featuring local artists, and benefitting a great organization: Hands On Global. Friday, Dec. 7, 4-8 pm and Saturday, Dec 8, 10-5 pm. Ceramics by Cass Mitchell, Wilbur Rehman, Trudy Skaari, Maureen Cole, Nancy Goughnour and Mary Blake. 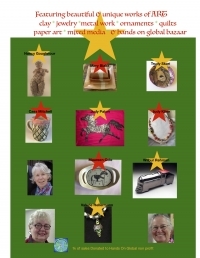 Paper art by Susan Miles and Judy Paton. Jewelry and exotic imports from Valerie Hellerman. Home made christmas cookie plates for sale. Wine and hors d'oeuvres Friday night. Christmas sweet treats all day Saturday. Here at Plymouth Congregational. 400 Oaks and Wine inHelena. DONT MISS THIS.